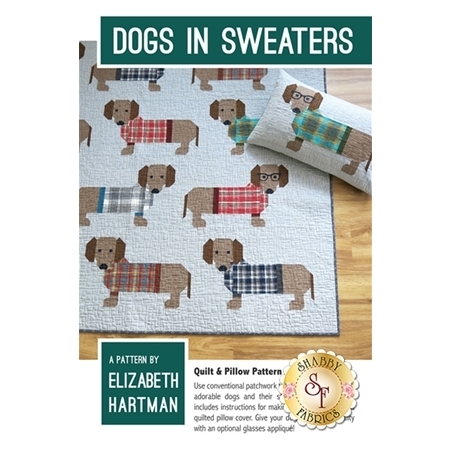 This charming Dogs in Sweaters pattern from Elizabeth Hartman includes instructions for making two different quilt sizes as well as a quilted pillow cover. Make these dapper dogs in snazzy sweaters using conventional patchwork techniques. No paper piecing! Stylize your dogs with optional glasses applique! 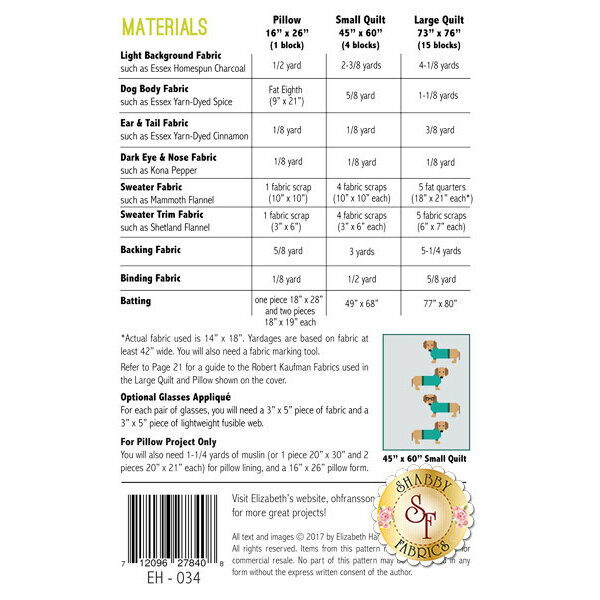 Quilt pattern finishes to approximately 45" x 60" or 73" x 76". Pillow cover finishes to approximately 16" x 26".